Here's a good introduction to the research on the potential social emotional aspects of giftedness. An easy read... and a good introduction on how to advocate for, and live with, gifted kids. Many common behaviors of gifted kids (and s) can look like symptoms of ADHD, Depression, Aspergers, and other psychiatric or medical conditions... and too many kids are being misdiagnosed, labeled, and sometimes medicated by well-meaning but perhaps uninformed professionals. This is a much needed book - the only one that I know of - that looks at the similarities and differences between the "symptoms" of giftedness and such disorders so that parents and professionals can be better positioned to avoid misdiagnosis... or better understand the overlap between characteristics of giftedness and other conditions. This is truly an important contribution to giftedness literature. Capable kids and underachievement - it's not uncommon. Here are two books with sound advice for parents. Right brain, left brain? A sometimes controversial, and sometimes oversimplified, view of the way different learners think. Some believe that many gifted kids (and perhaps those with ADHD, dylsexia, and other forms of learning disabilities) are primarily "right brained." That is, they think in pictures and in a more holistic way than others. Here are two books that offer a good introduction to this idea. An interesting look at how schools often overlook giftedness and states underfund gifted programs. 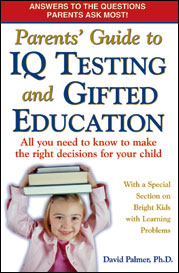 Particularly focuses on highly gifted kids. Another classic. Great advice on how to communicate and problem solve with kids. Two books by Becky Baily, Ph.D. that show parents simple ways to connect with and encourage cooperation with their kids. Bright or gifted kids may sometimes be misdiagnosed as showing signs of ADHD. While acknowledging that some kids may benefit from medication, Armstrong offers 50 non-drug strategies for helping kids who appear inattentive, hyperactive, or impulsive. 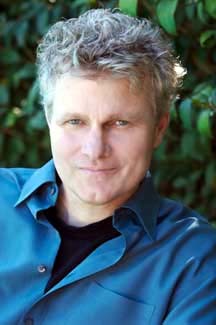 An interesting look at a subculture of parents and advocates of the gifted. Argues for less pushing and programming of kid's early lives in favor of more flexibility in allowing kids to explore their own interests and find their own paths.